If you’re looking for high quality and personal service, you’ve come to the right place. At NEW AGE COMMUNICATIONS we’ll give you the attention and personal service you’ll come to expect and enjoy. 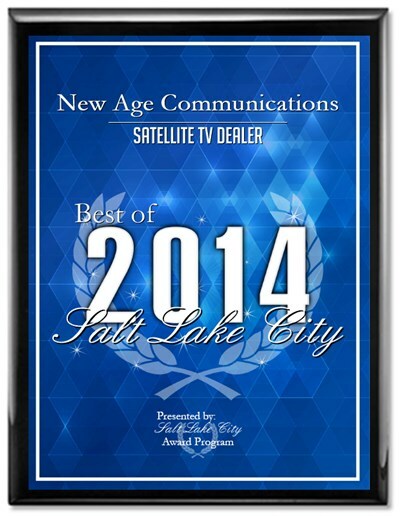 NEW AGE COMMUNICATIONS Is located in Salt Lake City, Utah and is the main marketing company for KB SATELLITE and OMEGA SATELLITE. (started in Northern California working with DIRECTV AND DISH NETWORK since 2000.) Let us put our experience to work for you. Call 1(888) 519-7447 today to set up an appointment. We offer the best in Television and Internet service for residential and commercial . FRONTIER CABLE,CHARTER CABLE ,RING CENTRAL,VONAGE PHONE,AT&T.